The objective of the Vanguard TV5 satellite was to launch into orbit a fully instrumented, 20in, 10 kg X-Ray satellite. This satellite was to study maximum variations in the intensity of solar x-ray radiation in the 1 to 8 Å wavelength bands and to make certain space environment measurements. 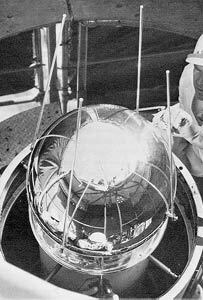 It was identical to the Vanguard Lyman-alpha satellites except for differnt wavelengths.